With work done for the week, I had one last night in Grand Cayman before my colleague D and I flew out and we wanted to have one last fantastic meal. 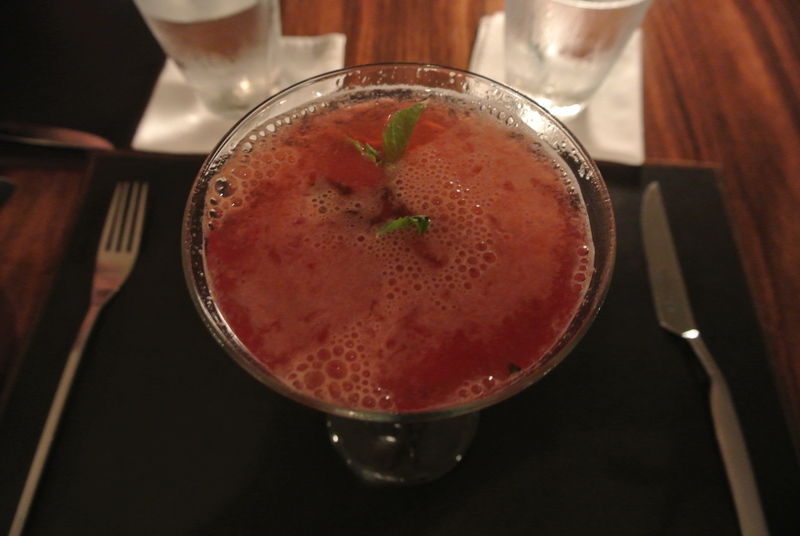 With the help of our concierge we headed to a restaurant that was further down 7 mile beach called Luca. Located in Caribbean Club, a luxury condominium hotel, the restaurant is tucked away facing the the pool and atrium and because we’re in the Caribbean what can be better than dining out on the patio with the sounds of the ocean a few metres away. 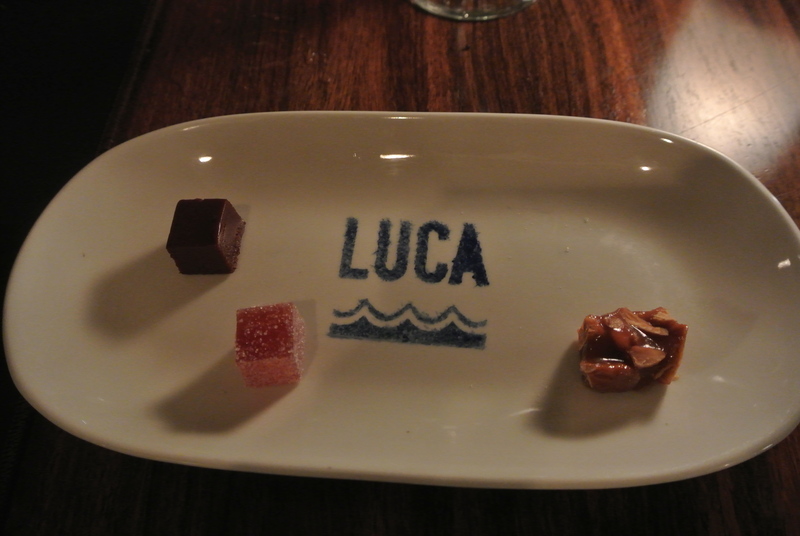 I didn’t know what to expect from Luca, but as soon as we arrived we found out that both the hostess and server had connections to Canada so we felt right at home. The menu looked appetizing and by the end of the mean, I was stuffed! And as you can see by the photos I took of my dishes, you can tell it was a great meal to end a great week! 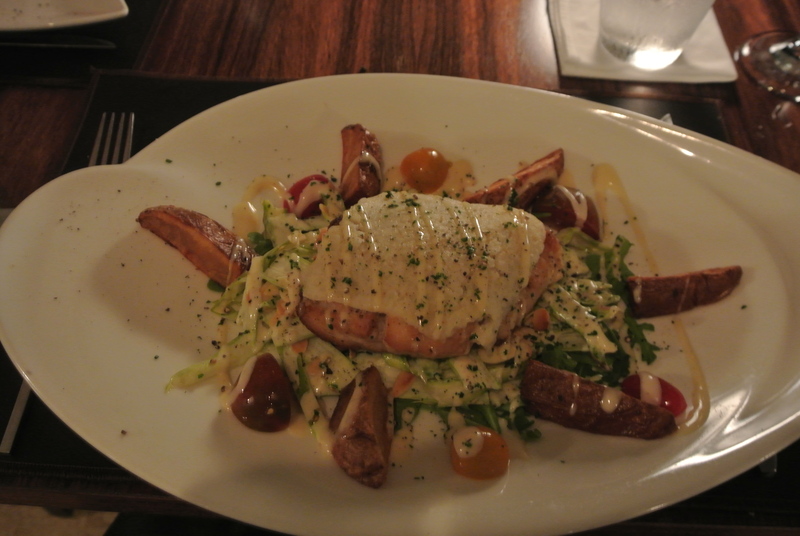 My favourite: the appetizer – it was the special for the day, grilled squid atop warm german style potato salad! 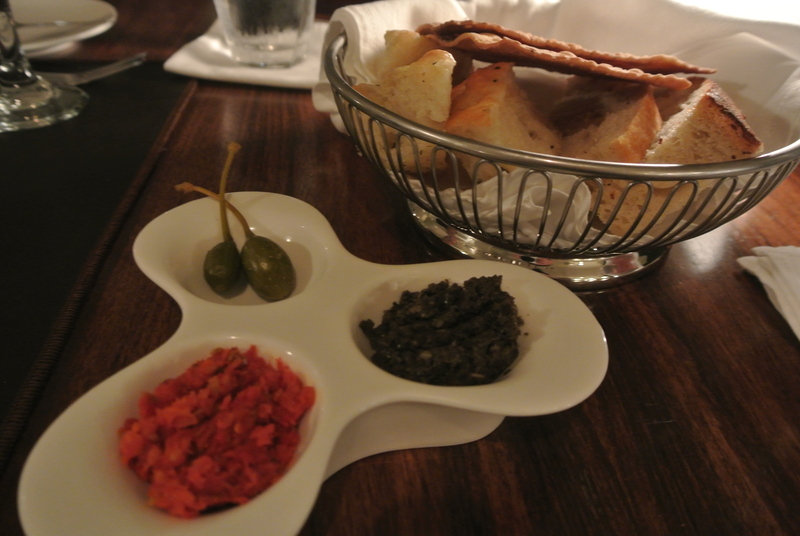 Olive and sundried tomato tapenade and bread. 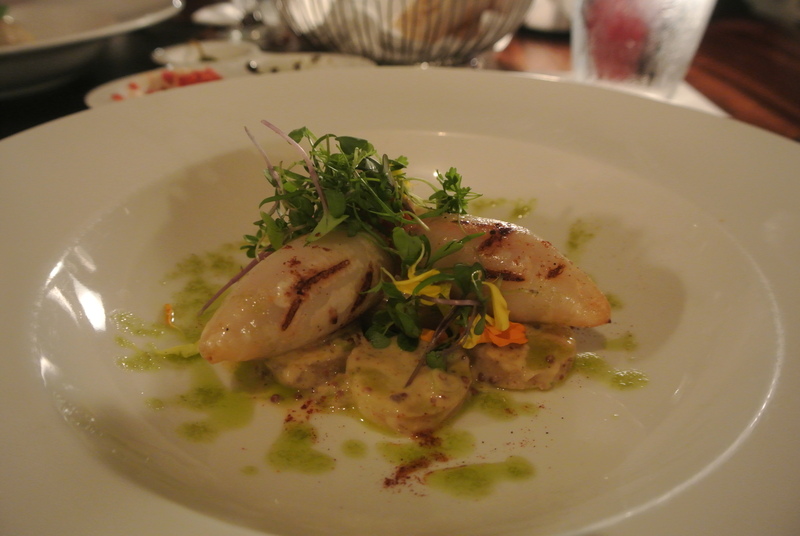 Appetizer Special – grilled squid sitting on top of german style potato salad. My main dish – red snapper filet topped with a lemon risotto crust, asparagus almond salad and a lemon dressing. 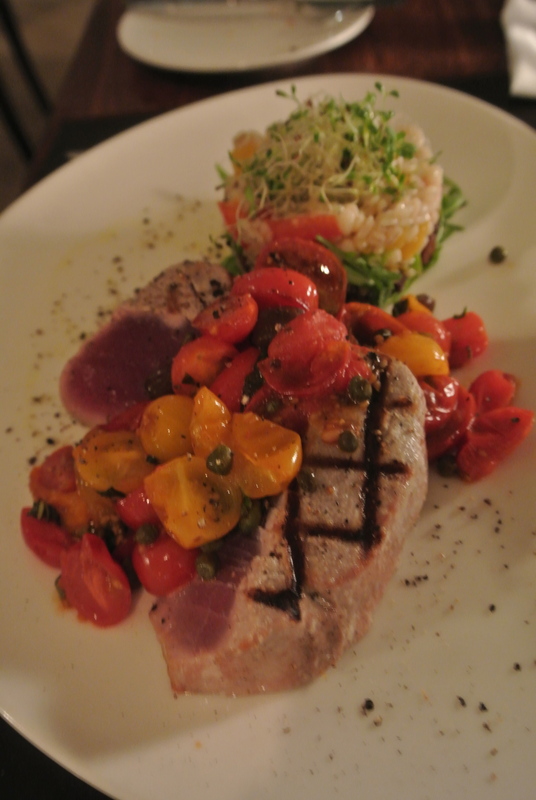 D’s main dish – grilled tuna with sauteed tomatoes, capers and black olives with a barley salad. Some dessert treats – chocolate truffle, fruit jelly and caramel peanut squares.